This release contains an overhaul of the ATS system as well as some other changes that were requested by our clients. As mentioned above the ATS section has had a major overhaul. We have introduced various new features to allow you to do things that were not previously possible and we have also added some new features to save you time and effort. Every vacancy will now have a unique reference which can be generated by the default system or set by yourself. This reference will be displayed on job boards. For job description we have implemented an editor with a full set of formatting features which allows you to add images and documents. You can now create a vacancy based on another vacancy i.e. copy a vacancy. This means you can create a template for a vacancy and use that to create new vacancies in a much quicker way. When a vacancy is created it will pick up pipeline stages, who has authority to move applicants between stages, who the Hiring Leads are and who the job and offer approvers are from system settings. It does this by checking if any of these have been set for the company, location and department you have specified on the vacancy. However, once the vacancy has been created, you edit these to make them vacancy-specific. The following has also been changed. Job Approval. If your company requires that a vacancy must be approved before it is made public, you will be able to do that now. Offer Approvals. Similarly, if your company requires that a job offer must be approved before an applicant is hired, you will be able to do that now. Hiring Leads. A very common request was to allow more than one Hiring Lead on a vacancy. We have now introduced this capability. Vacancy Questions. You can now set unlimited questions for applicants. Questions can require to be answered in one of the following forms: a date, short text, long text, a drop down list or a numeric answer. Questions can be flagged as private. The answers to private questions are only available to the admin. This will allow you to create, for example, equal opportunity forms. You can also ask a question where the applicant will need to attach a document such as a reference or an example of previous work. Scorecards. We have renamed the competency tab as “scorecards”. Previously there was one scorecard per applicant; now you can add multiple scorecards. These can be added by anyone involved in the hiring process such as Hiring Leads and Hiring Managers. You can also invite other people in your company to review an applicant and give feedback via a scorecard. Vacancy Pipeline. You can edit the pipeline stages in a vacancy. You can also specify who can move an applicant from one stage to another. Notifications. 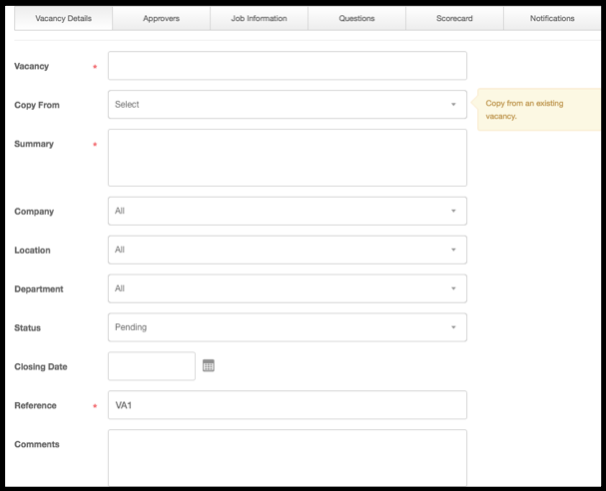 You can specify who will get notifications when a new application is received for a vacancy, who will get notified when someone has filled in a scorecard and who will get notified when someone is moved from one stage to another. You can also choose how and when you will get notified i.e. immediately or in a summary at the end of the day. Email Templates. You can pre-define your email templates such as interview invites or offer letters. There are a number of tags available such as applicant name and vacancy location, rejection reason etc. which will be replaced by actual values when the email is sent. The template creation uses an editor with a full set of formatting options. Email Settings. We have changed the way emails will go out of People for ATS to make email delivery more reliable. Confirmation message to an applicant. In system settings you can add your own confirmation which will be displayed at the end of the online application process. Check for duplicate applications. Currently we check for possible duplicate applications based on the applicant email address. However, this does not capture applications by the same applicant which have come through one or more agencies as the email address will belong to the agency. Therefore, you can now check for duplicates by email address and/or applicant name. Allow employees to request job approval. 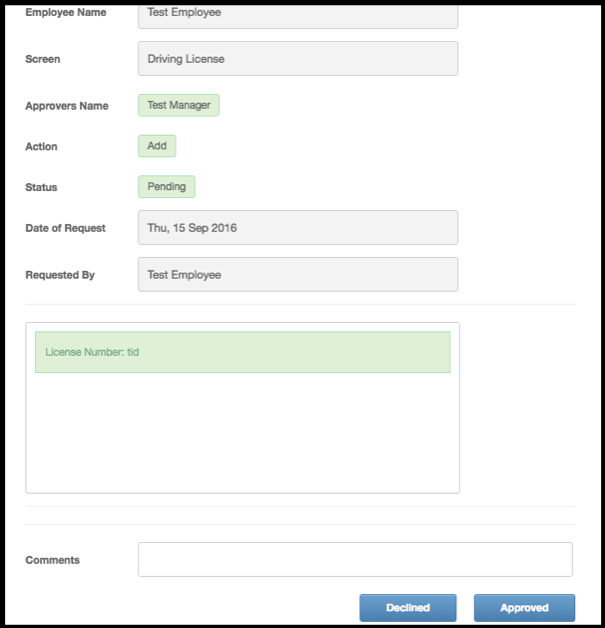 You can optionally allow employees and managers to request vacancy approval. That is, if a manager has a requirement for a new person in his team they could enter the job details in ATS. The request will go to a nominated person for that team to approve/decline. Vacancy Search. We have changed the vacancy list screen and added a column which allows you to filter your vacancy list. For example, you may want to see vacancies you have for a particular department or location, or vacancies that are in pending state awaiting approval. Applicant Search. This was another big request mentioned in AHA (our ideas portal). Similarly to the vacancy screen we have changed the applicant list to include a filter column. The list is split into active applicants, those who have been added to the talent pool and those that have been rejected. We have introduced six bulk actions available from the main pipeline screen (3rd icon in ATS ). This is available from any recruitment stage that has at least one applicant. Reject. Reject one or more applicants using a single email template. Move to talent pool. Move one or more people to talent pool. Move stage. Move one or more people from one recruitment stage to another. Sift applicants. A good way to view applications from a number of people and make a decision such as email the applicant, reject them, move them up the recruitment stage or add to talent pool. Download documents. For example, you may select all of the people in the new application stage and download their CVs to a folder. Email applicants. Using a pre-defined email template, you can email one or more applicants. As mentioned earlier you can specify if a vacancy requires approval before it can be published. Similarly, you can specify if a job offer requires approval before the applicant can be hired. Must be approved in the order specified. The screen above shows an example of a vacancy that has both job approvers and an offer approver. The job approvers have not approved the vacancy as the status is still pending. Scorecards are based on a pre-defined set of questions. You can group questions within categories such as communication skills, qualifications etc. As Hiring Managers or Hiring Leads you can add your own scorecards for the applicant. You can also invite people who are not directly involved in the hiring process to review an application and give their feedback by filling in a scorecard. A scorecard requires you to give an overall score between 1 and 5 and an overall recommendation of yes or no. You can also rate the application for each question with a score between 1 and 5. Where you conduct more than one interview you can enter scorecards for each interview separated by scorecard type which is a list you can manage yourself. You will notice each applicant has 5 stars against their name in the applicant screen and some are highlighted. An average score of all the scorecards is used to determine the star rating for the applicant. So, for example, if an applicant has had 2 scorecards filled in and one person has given them a score of 5 and the second person has scored them as 3 then the average is 4. The applicant will have a star rating of 4. The recruitment pipeline for a vacancy is taken from system settings when a vacancy is created. The pipeline can be edited and new stages added to the vacancy. We have added some security to the pipeline, namely, you can say who is allowed to move applicants out of a particular stage and who can move applicants into a particular stage. By default all the Hiring Leads have access to all the stages. In some companies you may not want the Hiring Lead to have access to all the stages so you can choose to disallow this. For example, you may not want the Hiring Leads to be able make the applicant an employee. The applicant pipeline is now also available from the applicant screen. You can carry out all the functions from here that you can from the main pipeline stage (3rd icon at the bottom of the ATS screens). You can move the applicant between stages, email the applicant, reject the applicant and move or copy the applicant to another vacancy. The applicant pipeline records the history of all movement between stages. It records the date the applicant entered the pipeline and the date they were moved to the next stage and so on. Additionally, from the applicant pipeline you can invite colleagues to interview/review an applicant. Those who have been invited to interview/review will have an empty scorecard created for them which they can fill in after the interview/review. If they have not filled in the scorecard you have an option to send them a reminder email. The logbook is a major tool in the armoury of the HR professional, this is having some changes! 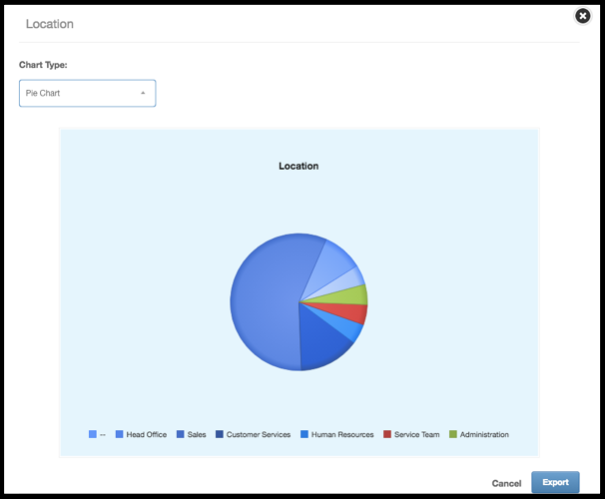 The logbook allows you record and query important information for your company. 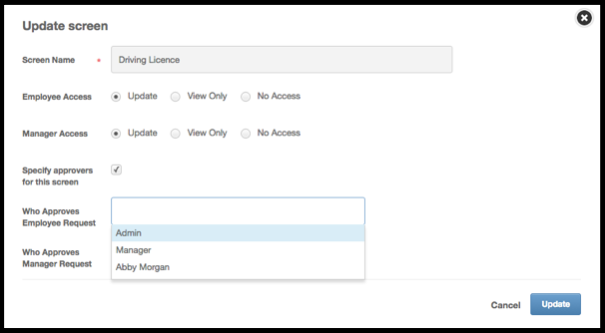 You will now be able to request authorisation when an employee or manager add or edit information in a logbook. Simply click on the pencil icon next to the heading. Make sure the button that says ‘Specify approvers for this screen’ is ticked and then for both employees and managers clarify who should approve them. Once a manager or employee make a change then the approver will be able to go to the Authorisations tab and approve or decline the change. As part of the Autumn release we have made some big changes to the Org Chart. Now you can zoom in and out to make it fit the screen, filter on the different companies, locations and departments in your system and decide whether to include new starters or not. 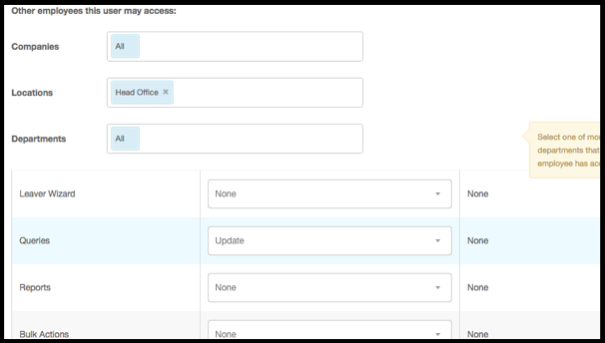 You can also exclude certain staff, for example contractors or temporary and set the orientation for it, so it doesn’t need go from the top to the bottom of the screen. FTE stands for full time equivalent and now in People you can calculate this as part of the New Starter Wizard. 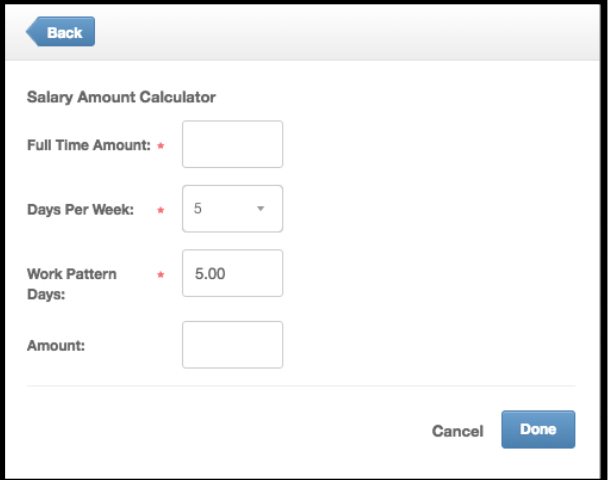 To do this go to the New Starter Wizard and add the information as requested, next to the salary field you will see the ‘Help me calculate’ button, click on this. This will open the calculator up, as below. In the full time amount field put what a full time person would get as a salary and how in the ‘Days per week’ put how many days that full person works. 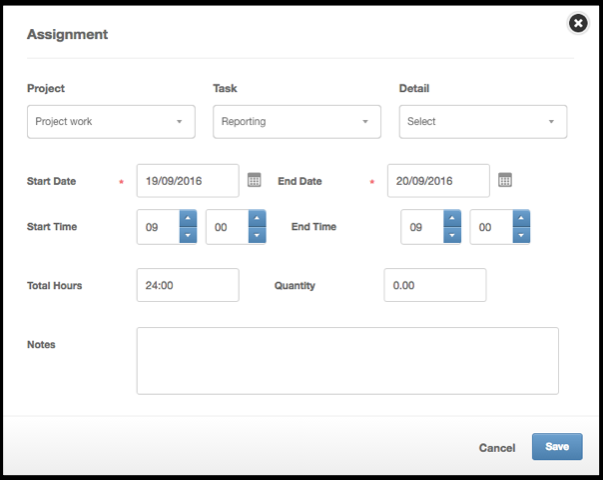 In the ‘Work Pattern Days’ you will see how many days the new employee works this will come from the work pattern you have set them on, although you can amend this manually. Once you have done this the ‘Amount’ will populate with the pro-rata salary. Please note this is also available when you change an existing employee’s salary within their record. When running a query on salaries you can now see what the FTE and the pro-rata salary are. You can now run queries on the cases or case logs you have in the system. Simply create a new query and select ‘case’ and picking the relevant fields you want to report on. In the June 2016 release we showed you how you can now group by a column title, with the Autumn update you now create charts based on this grouping. So for example if you want to group by Department, you can now create a graph that shows that. Simply drag the column name into the indicated area and this will group them, once you have done this a button will appear saying ‘Chart’. Simply click on this and the graph will appear, click on the top left and choose the type of graph you want. Simply click on the Export button when you have finished and you can export it as a picture. You also have the ability to edit the access rights to queries. 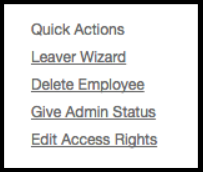 When you go to an employees Overview page and pick ‘Edit Access Rights’ and pick ‘Queries’ the person with the extra access will only be able to run queries on the section of People that they have access to. An example would be if Alex, below, had access to Queries for Head Office the only information they would be able to query would be for people based at head office. Previously you couldn’t record an assignment that went over midnight, so for example working at night and now you can. To do this, simply put the new End Date after the Start Date and put the correct times in. By clicking the below button you can decide whether the employee can request Other Events on a day that isn’t in their work patterns. Go to the Holidays & Absence section of the settings and turn on or off in there. Previously the NI Number/SSN field allowed you to put combination of numbers or letter in. Now you have the ability to stop this. By going to the settings and clicking on the company tab you can see the field ‘NI/SSN Validation’ by putting the Regex that relevant to your company then this will stop incompatible NI/SSN details in. You can decide if the web browser opens a new preview tab with the document in or not, simply go to the settings and click on the company tab and switch the below on or off.